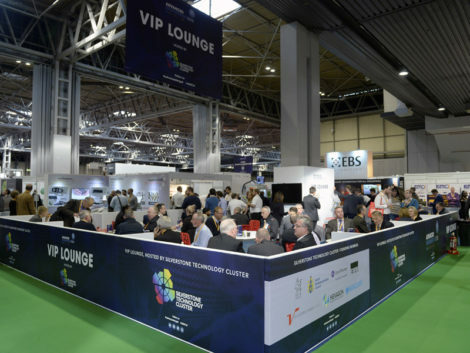 More than 1050 unique visitors attended the 2018 Advanced Engineering Show’s VIP Lounge – hosted for a second consecutive year by Silverstone Technology Cluster. The VIP Lounge enabled the Cluster’s Board members, including STC CEO Pim van Baarsen and Chair Roz Bird, to meet with existing and prospective new businesses during two days of networking. The Board comprises Aylesbury Vale District & South North councils, Barclays, EMW, Grant Thornton, Hexagon Manufacturing Intelligence and Silverstone Park. Furthermore, as STC members, Voxeljet, Illuminis, OBP Group and Total Control Pro had the opportunity to address the AES audience, giving presentations on their latest technology as part of the Automotive Engineering Forum stand, hosted by STC CEO Pim van Baarsen. It is estimated some 15,000 people attended the Show in total. Pim commented: “Now we have some numbers in we can see that again the AES Show has again been an incredible success for us. “The Show is multi-sectoral in innovation and advanced engineering so has enabled us to further raise our profile with businesses in our strike zone. “The event enabled us to have direct conversations with key decision makers and we have since had a number of approaches from organisations both within and outside the Cluster’s geography about STC membership, including people overseas who are very interested in what the STC is doing and potentially joining our membership which now stands at over 80. “Just as important is that we offer our members a platform to present their latest technology and network with national representatives from the advanced engineering community. Silverstone Park Commercial Director and STC Chair Roz Bird added: “This was another great event for the Silverstone Technology Cluster. The STC team, supported by Silverstone Park, worked hard behind the scenes to ensure we had a great lounge facility and that members had the chance to provide presentations to the AES audience. We had a very good turn-out; there was as a continuous stream of people coming in. “What was personally very satisfying, and a good sign for the future success of the STC, was the number of positive comments from members, confirming what the Board had hoped when we embarked on this project two years ago: companies that join the STC are winning business as a result and they feel more confident about the future because of the level of information now available through the networking and support of the STC.